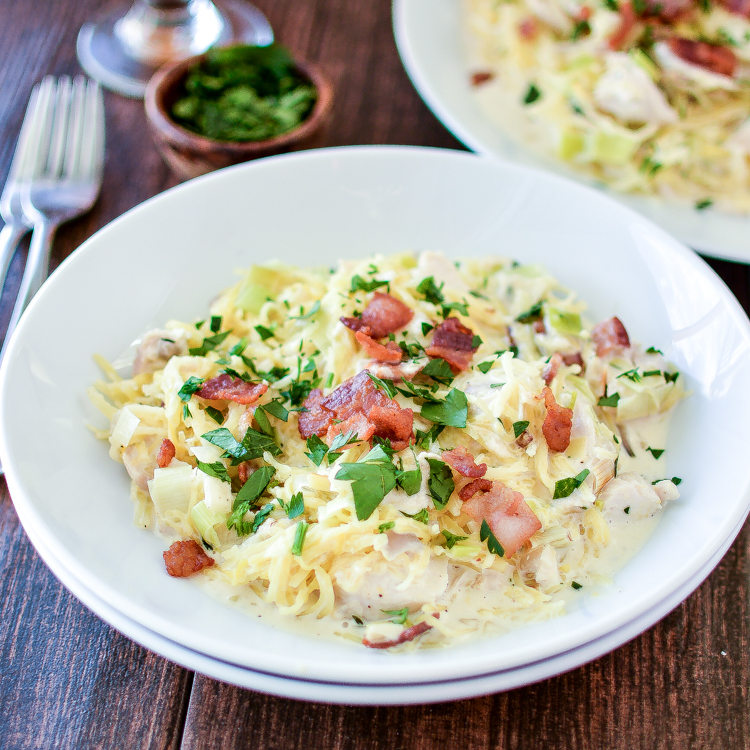 Creamy Spaghetti Squash Chicken Alfredo with Leeks and Bacon: a fun twist on a classic dinner recipe. 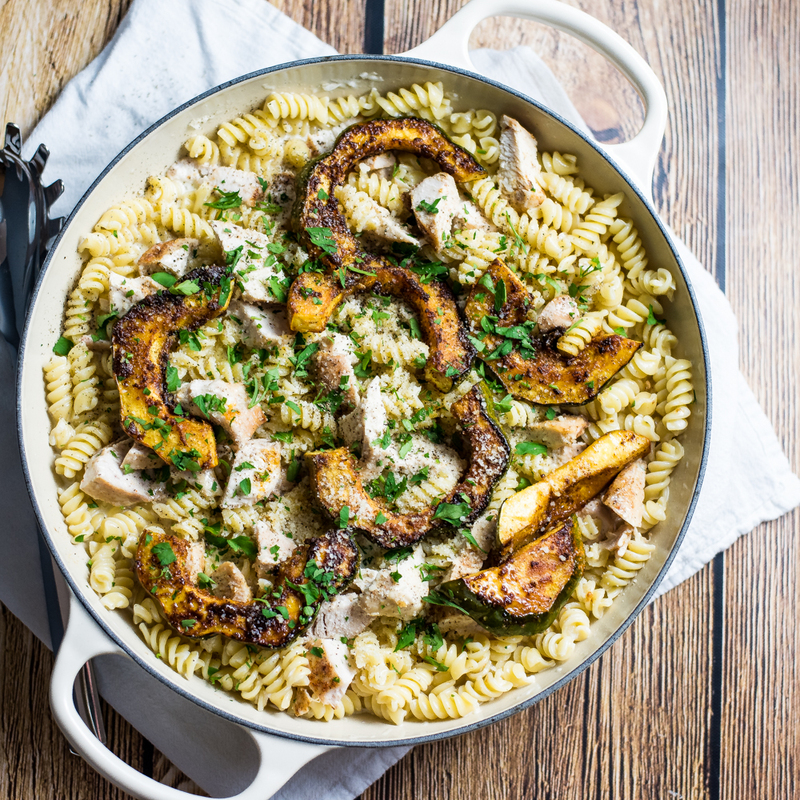 This fun spin on chicken alfredo brings gnocchi into the picture and is baked to perfection in casserole form! 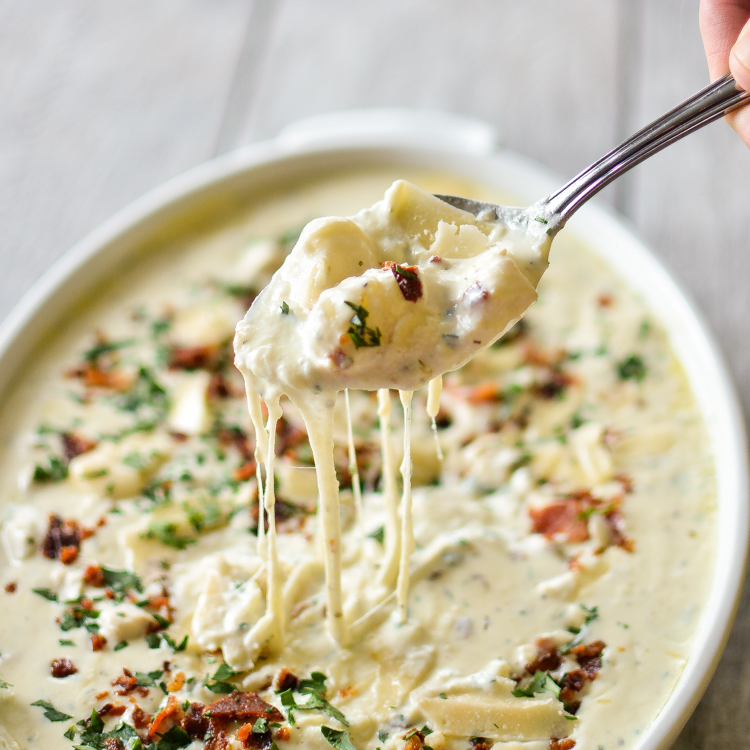 This gnocchi bake is perfect for a weeknight!